What does the future hold? You’ve spent so much time in brackets and wires that it probably feels a little tough to imagine. That’s why we’ve put together this guide to post-braces existence to give you some helpful tips and dispel the uncertainty. If you ever have questions, get in touch to speak with our expert staff! Your orthodontist will let you know when it’s time for your braces to be removed. 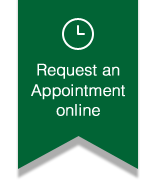 You’ll be given notice at your second-to-last-appointment (your last adjustment) so that you know what to expect. If straightening doesn’t proceed as expected, you may need to keep braces on for longer than expected – but your orthodontist will communicate with you along the way so that there aren’t any surprises. Your braces will take about an hour to take off. Having braces removed does not hurt. There will be some pressure but not any pain. To remove your braces, your orthodontist uses pliers to carefully take off each bracket. They then clean all glue off the surfaces of your teeth. The final step is taking an impression for your retainer. This isn’t technically your final appointment – you’ll have a checkup with your orthodontist after you’ve been wearing your retainer for a little while. This helps us ensure that your retainer fits and is doing its job. Teeth shift quickly, and an ill-fitting or improperly used retainer won’t keep them in their new, straight alignment. You won’t be experiencing any discomfort after getting your braces off. But when you start wearing your retainer, you may experience some soreness. Don’t worry – just like the tenderness after braces adjustments, this is only temporary. Your teeth will feel strangely smooth and may also be a little sensitive. This is because your enamel was covered up for so long and is now exposed to outside stimuli again. Use fluoride toothpaste to help reduce sensitivity and be gentle with your teeth until any tenderness fades. While you’re probably super excited to get back to crunchy foods and forbidden snacks, don’t go crazy – the last thing you want is to cause your teeth pain. You may need dental work after getting your braces off, depending on how well you cared for your smile. You may have cavities that can now be filled since brackets and wires aren’t in the way. If you have white spots or discoloration, your dentist can help you decide on the best way to whiten. Post-braces, wait a few months to whiten because sensitive enamel may make it painful. It’s a good practice to schedule an exam with your dentist once your braces are off to address any dental problems. It takes a few days to get used to your retainer – try not to get frustrated right away. You’ll need to get accustomed to speaking with your retainer, so you may have a slight lisp at first. Practice reading aloud at home to adjust as quickly as possible. If you have a presentation, you can always take your retainer out just for that period of time (but don’t forget to put it back). You’ll initially wear your retainer whenever you’re not eating or brushing/flossing, but will eventually only need to wear it at night. Some patients need to wear retainers for a few years, and others need to wear them indefinitely. Always carry your retainer case with you – don’t leave it on a napkin at a restaurant or at lunch. This is the #1 way retainers get lost, since they’re not noticeable and get swept up in the table’s trash. Try to put your retainer back in ASAP to avoid losing or damaging it. Pets (dogs especially) are also prone to chewing on retainers, so don’t leave them lying around. Eating feels weird – You’re finally free from braces – so why do you feel like something’s wrong? Because you spent years with brackets and wires, they actually became the norm. Getting used to eating without them takes a little adjusting. Enjoy bringing your favorite non-braces-friendly foods back into your daily life! Teeth will be sensitive – Your teeth are “naked” after being covered in brackets for years. The enamel will be a little tender and you’ll want to be careful diving back into your old diet. Fortunately, this sensitivity will fade quickly. Teeth may be discolored – Your teeth may be slightly yellow, or may have areas of calcification (white spots). This is due to subpar oral hygiene during braces. Talk to your dentist about how to proceed. Teeth may shift (only slightly) – After braces have been removed, your teeth may settle. There should only be a minor change in alignment, and your results will still hold. Your orthodontist plans for settling during treatment – it is entirely natural. Your smile looks super different – Even though you’ve probably been able to glimpse your teeth through the metal, now your smile is on display. Appreciate the fruits of your orthodontic labor!